Gotta say, not a fan of the contrast between the tarmac and the grass, seems far too sharp and maybe the grass should be a bit greener. Not sure, but it seems a little bit off. Maybe there need to be a few more colour variations in all the textures overall. In this case it had been snowing and we are, as a test, running a terrain texture change to whiten the ground when it snows. It’s just for test and does makes the ground look kind of weird. The taxiways can be as wide or as narrow as you want them/ My understanding is you draw the taxiway or apron with a width you decide, then place the taxiway routes on them. So in this case, it’s a design flaw, not a game flaw. Yes, a taxiway can be as narrow or as wide as you want it. We will probably implement something later on to allow aircrafts (and indirectly airlines) to discover the width of you taxiways and generate some kind of approval score based on that. If I replaced the white square (over bridge) with a crosswalk, would the new system allow it? It looked like one of the test airports had something similar. I’m not sure as to what exactly you mean, could you circle the area for me or highlight it? You could build that as a terminal and build service road inside (like the tweeted airport) but then passengers will then just walk across. There is also an issue with the cargo bays as staff cannot walk over taxiway. There needs to be walk-able connection leading to the room. Otherwise, really nice airport! Thanks. Never got a chance to finish it. 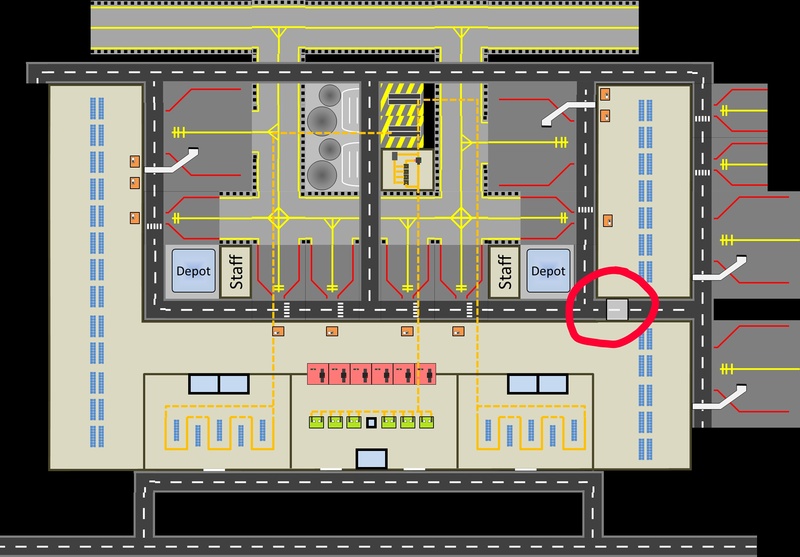 So could I build a concourse as far away as I wanted (and connect with a service road) or can it be only a single road gap between the 2 buildings? No, passengers cannot walk on service road, only inside terminal and on sidewalk. So instead you should remove that piece of service road and make it terminal instead. Just waiting for the game now so I can use it. Depends on how many aircraft you want to do simultaneously, but i remember reading somewhere that you need about 1 checkpoint per medium stand to be on time. One of you said that you can make taxi ways any length you like. Is there as suggested taxi way length? Would say 3 width for GA and 5 width for medium jets. 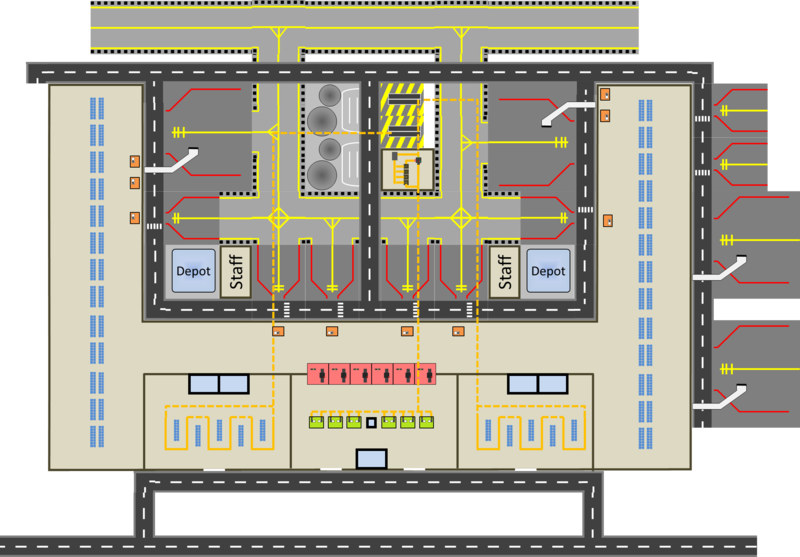 The challenges of designing such a large airport as your first airport for a game that has not yet released. Imagine the number of contracts that I would have to sign to keep this airport full throughout the day. Is there collision detection or a way to prevent planes from. Using taxi way if there is insufficient space for the wings? On the largest test airport it looks like the aircraft wing will clip the terminal building. Well i dont. The 2 and 20 arent exact numbers, but i wanted to point out that 1 contract gives multiple flights. Reaching for … the truth?